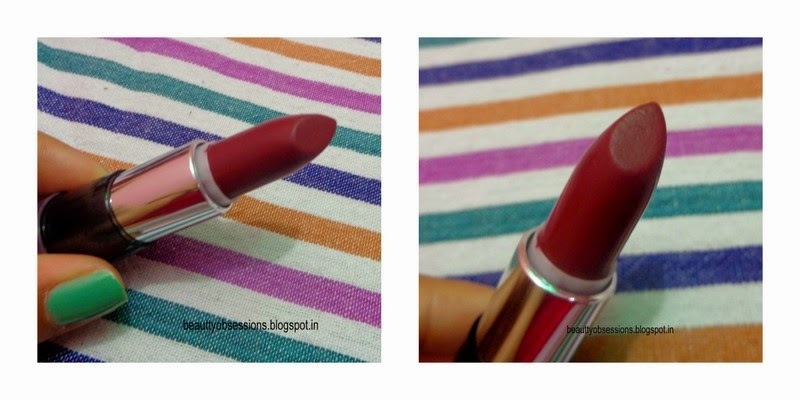 Today I will write on two bold matte lipstick shades from Oriflame The ONE range. Before that I have reviewed another two beautiful shades of this same range.. Check HERE . 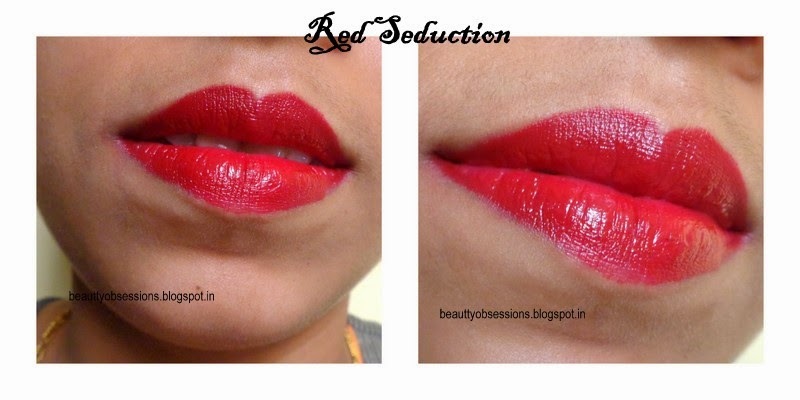 Hence that two shades of today's review are Red Seduction and Molten Mauve. Let's begin the journey..
Price: Rs 449/- for 4.2gms. product. The shade name is written at the lower side of the box as well as in the lipstick. Texture and Pigmentation: These lipsticks are really creamy and buttery in texture, in-spite of that it won't melt during the hot summer. Though the lipsticks are not pure matte ,but gives a nice semi matte finish. The colour pay off is very rich, only one swipe and you are ready to flaunt. Due to the creamy texture these are very hydrating on lips,hence no need of applying lip balm underneath it. It won't tug or stretch lips and don't settle into fine lines as well . The shades don't feel heavy on lips . I love applying them each time. If you are in work then it can be used as a lip tint and they looks equally pretty in that way also. Staying Capacity: The lipsticks stay a good amount of 3-4 hours on my lips without any heavy meal. Due to the creamy texture they are a little transferable on things. After fading they leaves a nice colour coded lip tints which looks like lip balms. Red Seduction: It is a very beautiful bridal red shade which will flatter all complexions. If you are a going to be bride ,then this shade is a must have in your vanity. 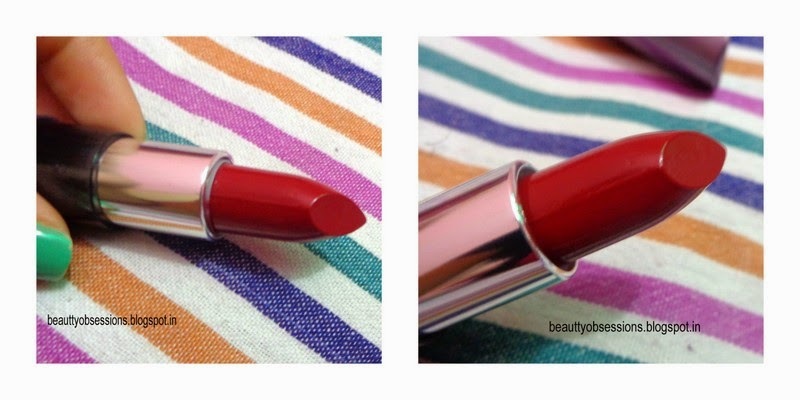 Dupe Alert: I think this shade is a dupe of MAC Riri Woo .. The only difference is ,the MAC one is in pure matte form and this one is in semi-matte form. You can check in the below picture as well. 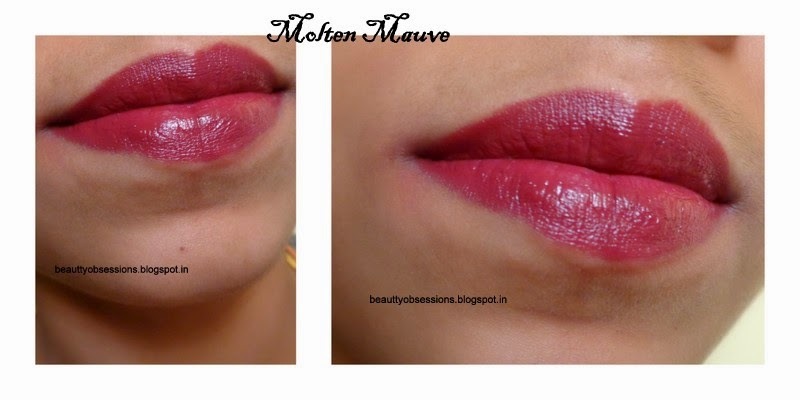 Molten Mauve: This is a very pretty brownish maroon shade which again suits all complexions. If you have enough pinks and reds ,then this shade will must add an unique factor in your collection. I love applying it as a lip tint in my daily basis. Don't feel heavy on lips. No need of applying lip balm underneath it. The packaging should have been more classy. P.S- Provided by PR for review purpose, but my view is honest and unbiased.